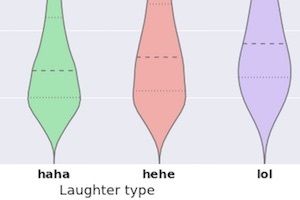 How do people express laughter online? To find out, Facebook’s research group examined posts and comments posted to the social network in the last week of May 2015. 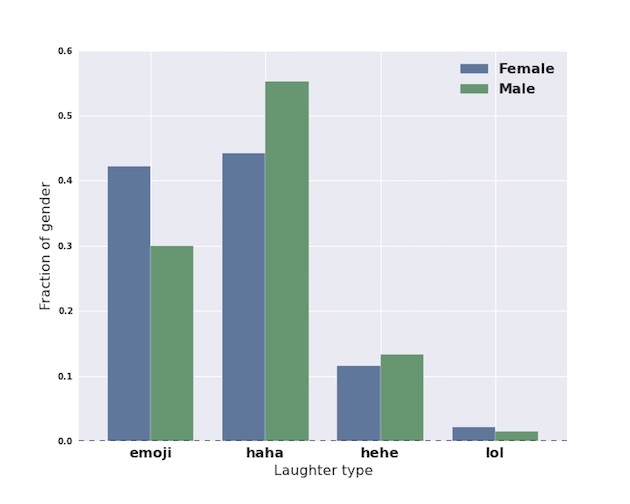 The researchers looked for strings of characters that matched with the most common online expressions of laughter: haha, lol, hehe, and happy/laughing emojis. Variants of each were folded into the larger category; for example, hahaha and haahhhaa were included under haha. 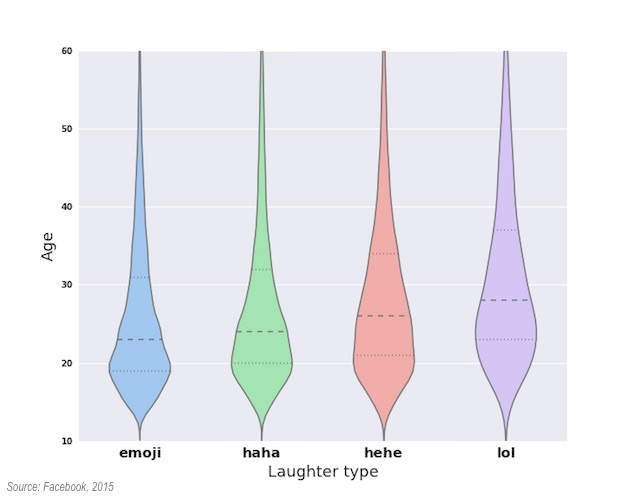 Some 15% of the people who posted or commented on Facebook during the week examined used at least one e-laugh, the analysis found. 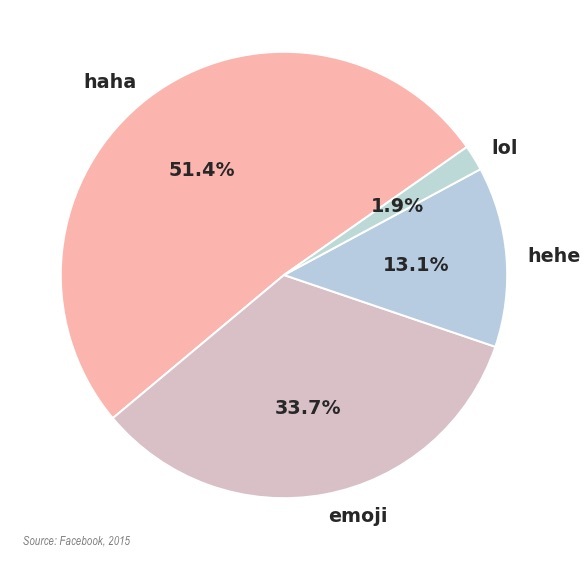 Haha is the most common way to express laughter on Facebook (51% of all e-laughs examined), followed by emojis (34%), hehe (13%), and lol (2%). Younger Facebook users tend to use emojis more than older users do, whereas older users tend to use hehe and lol more than younger users do. Men tend to use haha more than women do, whereas women use emojis more than men do. About the research: The report was based on data from posts and comments posted to Facebook in the last week of May 2015.